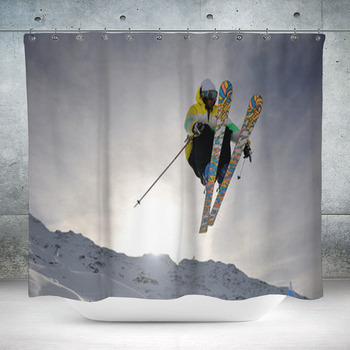 Start your day with a swoosh and a spray of powder on a custom ski themed shower curtain. Plant your skis in the snow with your poles in cool blue. 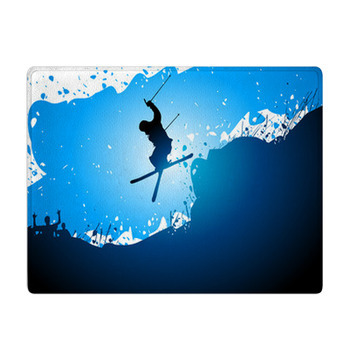 Whip powder into blue sky or jump over a snow covered mountain ridge. 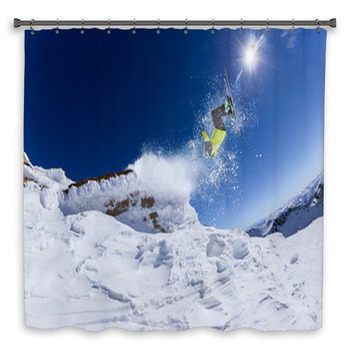 Ski through grunge or do all kinds of snow sports on a custom shower curtain. 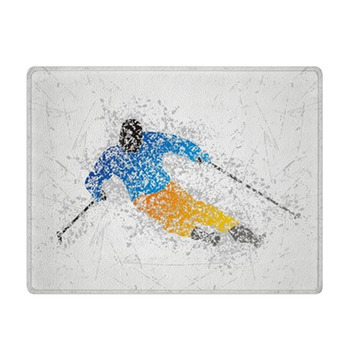 Cross country beneath a dark peak, sled down freshly covered slopes, fly over a jump, or snowboard down the mountain beneath aqua skies. 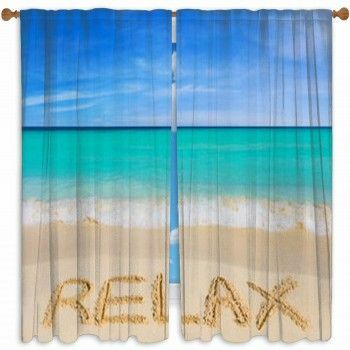 Drop down on one hip to cut the right angle across your shower. Look back at one lime green ski in deep blue sky. 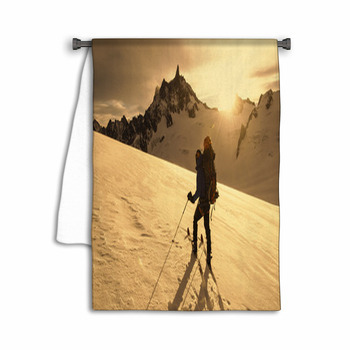 Trudge toward the pass with the rising sun gleaming behind a rock face. 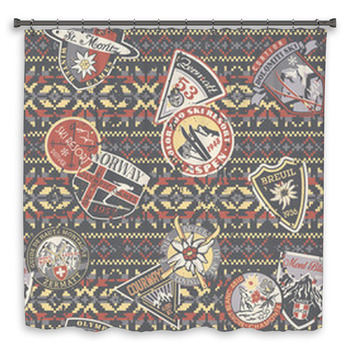 Whether you're into downhill skiing or cross country sweeps across unfamiliar terrain, these ski themed designs leave the slopes in your bathroom. 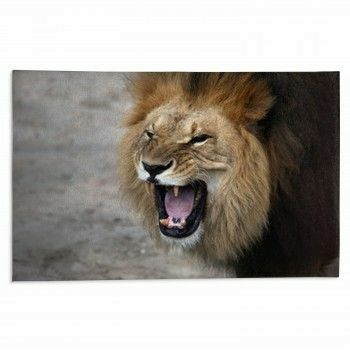 Its up to you to push off and swoosh through your day. 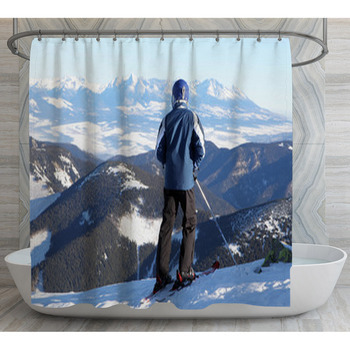 Leave a skier high above curved pillows of heavy snow atop the Rockies. Jump off the side of a mountain or hang in the air like a satellite in azure skies. 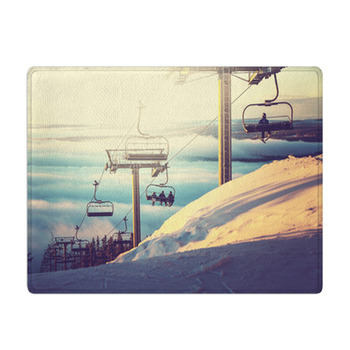 Look up at black skis or down at a ski lift cabled against black and white snow. 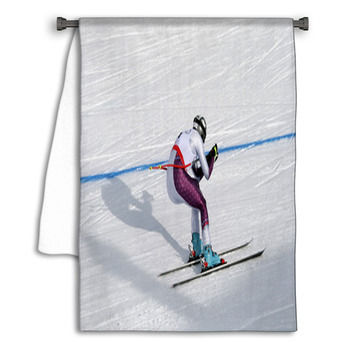 Do jumps in purple skies above teal tree tops on custom ski themed towels. 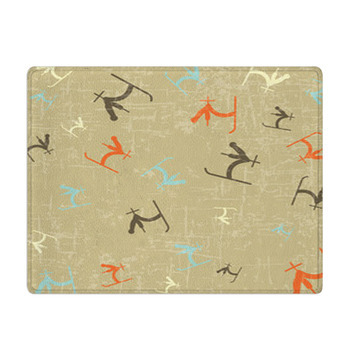 Leave racers in silver and blue on the bath mat. String colorful gondolas in turquoise skies. Bring a jumper over the apricot glow of the sun. 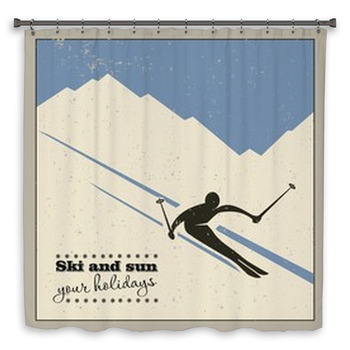 From jumps in pastel skies to sweeps of orange and gold behind the crossed skis of a jumper, ski the slopes of your bathroom and jump into your day.